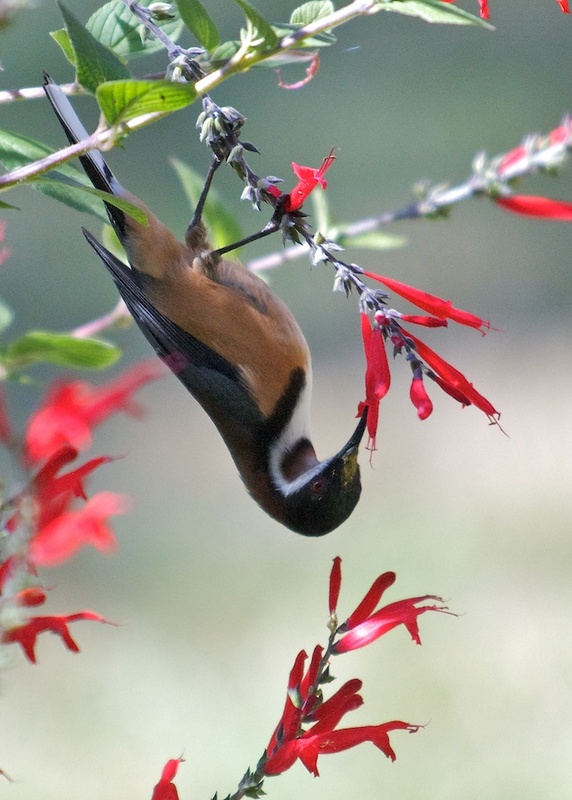 An Eastern Spinebill hanging upside-down from a pineapple sage outside the kitchen window. They are a lovely bird. Without cats there would be a lot more around urban areas.